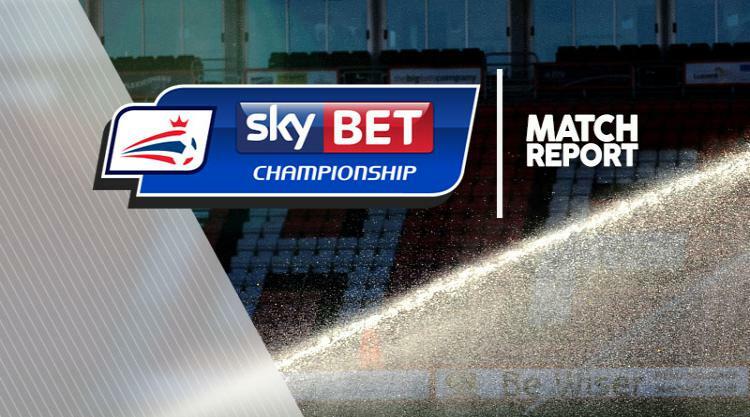 Lloyd Dyer scored the only goal of the game as Burton moved off the foot of the Sky Bet Championship table after edging to a precious 1-0 victory at fellow strugglers Bolton. The experienced winger fired in his fourth goal of the season midway through the first half to lift Burton above the Trotters in the standings, with Birmingham now rock-bottom. Albion had taken only one point from their last five league matches and this was only their second victory in 14 games but they certainly did not look like a struggling side and were worthy winners at the Macron Stadium. This was only the second time the teams had met, with their only previous fixture in the Capital One Cup two years ago producing an identical result to this one. Wanderers started promisingly enough with a shot inside the opening minute from Will Buckley that Stephen Bywater turned aside. Buckley had another opportunity after 17 minutes but again Bywater was able to keep the Brewers on level terms while at the other end Dyer saw his shot saved by Bolton goalkeeper Ben Alnwick saved. A free-kick conceded by Mark Beevers for a foul on former Bolton midfielder Marvin Sordell led to the visitors going in front in the 23rd minute. The hosts cleared the ball but only to Dyer lurking on the edge of the area and he drove it back left-footed through a ruck of players into the net for his fourth goal in eight games against the Trotters. Only Sammy Ameobi looked capable of opening up a defence that has conceded 40 goals. However, he also found Bywater in good form resulting in boos from the home crowd at half-time. Wanderers twice came close to equalising at the start of the second period, first when defender David Wheater's header from Josh Vela's corner crashed off the crossbar. The rebound fell to Darren Pratley, whose shot from close to the line was somehow bundled away for a corner by several Burton defenders. However, Burton were soon back in control and eventually Bolton manager Phil Parkinson had seen enough and introduced Felipe Morais for skipper Pratley. Ameobi continued to be the man most likely to make a Bolton breakthrough and he tested Bywater again with 14 minutes remaining. By now Bolton had introduced Craig Noone for full-back Stephen Darby in a bid to find at least an equaliser. Instead, Sordell almost made a bad day even worse when he came close to scoring Burton's second goal. The former England Under-21 international fired his first effort into the side netting and then forced Alnwick into a vital stop before being substituted to a chorus of boos from the home supporters. Bolton piled forward in the closing minutes with even Alnwick pushed up front but Burton clung on to give Clough a first ever managerial win at the Macron.